Cardi B and her crew were in Albany, N.Y., over the weekend, and she says that the Hilton Albany Hotel where they were staying kicked them out over accusations of marijuana smoke. 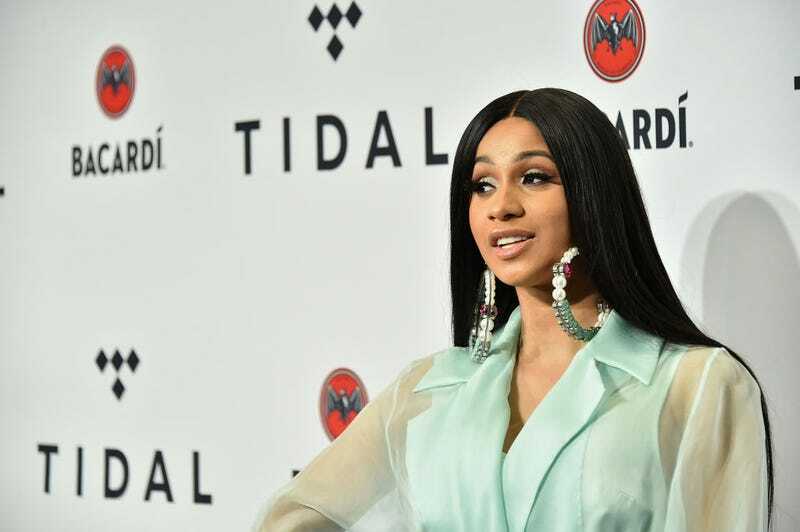 Early Sunday morning, after receiving complaints about the smell of weed, hotel employees told the rapper everyone had to leave, but Cardi says the weed smell was coming from somewhere else. “The floor that I was staying in in my hotel room, it smelled like weed. So the cops came in the middle of the night, knocking on my manager and on my door, talking about that we were smoking weed and we gotta get kicked out,” the former Love & Hip Hop star said in an Instagram video. “Now, if you know me, I don’t even talk about smoking weed because everybody knows that I do not smoke weed. I get very paranoid and none of my team members smoke weed. If they was to kick us out for something else, all right, but for weed? I’m not taking that because we do not smoke. I could get, we could all get drug-tested, nobody smokes. Nobody smokes, especially when I’m sleeping and I’m wild sick,” she added. In her now-deleted Instagram video, she called out the city and cops for being racist.